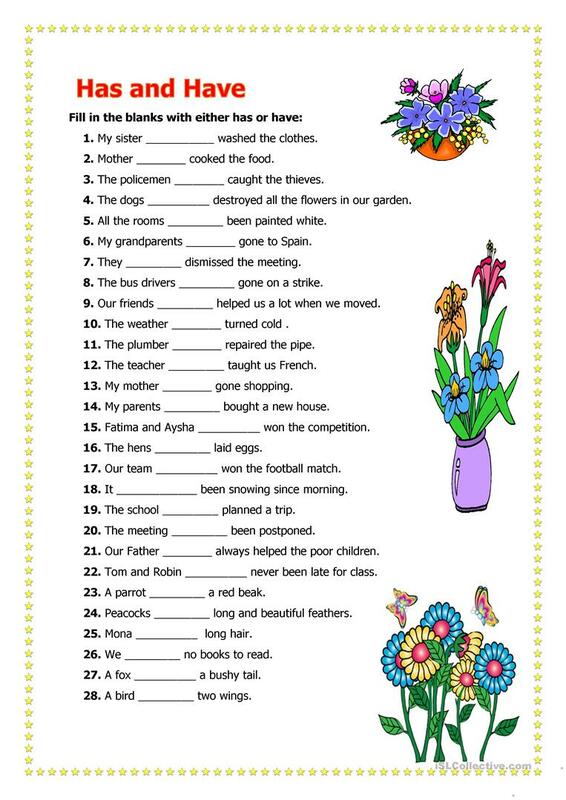 Learners are required to fill in the blanks with has or have. The present downloadable handout is a great resource for adults at Elementary (A1) and Pre-intermediate (A2) level. It is great for teaching HAVE GOT or HAS GOT in English, and was designed for enhancing your pupils' Reading and Writing skills.